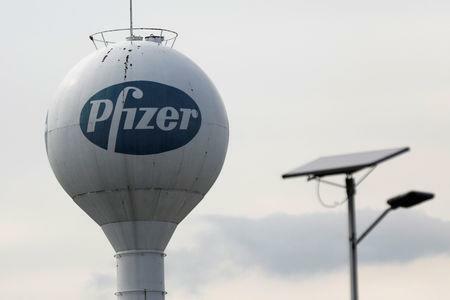 (Reuters) - A combination of Merck & Co's immunotherapy Keytruda and Pfizer Inc's Inlyta helped patients with advanced kidney cancer live longer than those receiving and older Pfizer standalone therapy, according to data from a late-stage study presented on Saturday. Nearly 90 percent of patients who received the combination therapy were still alive after 12 months compared with about 78 percent of patients who were alive after a year when treated with the older drug Sutent, data showed. Merck on Monday released interim data from the trial, saying the combination reduced the risk of death by 47 percent compared with Sutent. 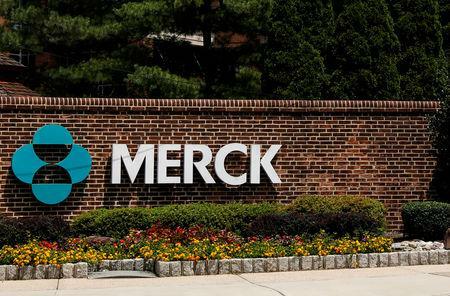 The findings add to an arsenal of positive clinical data for Keytruda, which is approved to treat several types of cancer, making it by far Merck's most important growth driver. Patients who received the Keytruda/Inlyta combination also went longer before their disease started to worsen, a measure known as progression-free survival (PFS). Median PFS was 15.1 months for the combination versus 11.1 months for those treated with Sutent. Results from the trial of 861 previously untreated patients were presented at a cancer meeting in San Francisco and published in the New England Journal of Medicine. The Keytruda/Inlyta combination, if approved, could provide serious competition for Bristol-Myers Squibb Co's immunotherapy combination of Opdivo and Yervoy. That therapy, currently considered a gold standard for previously untreated advanced kidney cancer patients, has shown a 67 percent survival rate after two years. A similar kidney cancer trial pitting Sutent against a combination of Inlyta and the immunotherapy Bavencio, sold by Pfizer and Germany's Merck KGaA, was also presented at the meeting on Saturday. The Bavencio combination led to a median PFS of 13.8 months compared with 8.4 months for Sutent. While full overall survival data was not yet available, at the end of 11.6 months, 37 of 442 patients in the Bavencio arm of the study had died, while 44 of 444 patients in the Sutent group had died after 10.7 months, researchers said. "Both combinations are expected to become new standards of care and to be incorporated into future (treatment) guidelines," Bernard Escudier from France's Gustave Roussy Cancer Campus said in an editorial in the New England Journal of Medicine. Immunotherapies help the immune system to recognize and attack cancer. Inlyta is a newer chemotherapy than Sutent that is also approved to treat advanced kidney cancer. In the Keytruda trial, four patients died from what were deemed to be treatment-related side effects versus seven in the Sutent group.